he concealed report of his own fact-finding committee on the abduction of Chibok girls. Kubo gave the call while faulting Jonathan’s allegations against the state Governor, Kashim Shettima. 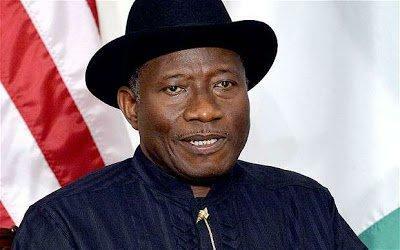 Jonathan, through his aide, Ikechukwu Eze, had challenged Governor Shettima to tell Nigerians whatever he knew regarding the April 14, 2014 abduction of over 200 schoolgirls by Boko Haram after attacks on Government Secondary School, Chibok in Borno State. Kubo, who was amongst those interrogated by the committee, also said there was never a time the Principal of Government Secondary School, Chibok was considered for any appointment not to mention being a Commissioner. He described the claim by Jonathan’s media team as an irresponsible ‎mischief. In a statement he personally signed and sent to reporter, Kubo said, “For the purpose of records, Eze and his colleagues are pointing the wrong direction, they should ask their principal, President Goodluck Jonathan, why he deliberately refused to make public, the report of a committee he constituted, inaugurated and received their findings on facts surrounding the Chibok abduction and who is to blame for it. ​”​To refresh their minds, on Tuesday, the 6th of May, 2014, President Jonathan had inaugurated multi-agency/stakeholder fact-finding committee under the chairmanship of Brig. General Ibrahim Sabo (rtd), a one-time Director of Military Intelligence and secretary of the Committee was from the Niger Delta. ​”​President Jonathan single handedly selected all members of that committee which included representatives of the UN, ECOWAS, ‎retired and security officers from the Army, DSS and Police; representatives of the Chibok community, local and international civil rights organisations, representatives of the National Council of Women Societies, the Nigeria Union of Journalists and some of his highly trusted associates. ​”​For nearly two months, the committee undertook thorough investigation that included forensic assessment of all documents on the entire issues, held meetings with parents of the schoolgirls, visited Chibok, met with the then Chief of Defence Staff, Chief of Army Staff, Chief of Naval Staff, the Director General of the DSS and the Inspector General of Police, all of whom were appointees of President Jonathan. ​”​The committee also met with officials of Borno Government including myself and the school principal, the committee held meetings with heads of different security agencies in Borno State including security formations in charge of Chibok and after compiling their findings, the committee submitted it’s report directly to President Jonathan on Friday, the 20th of June, 2014 in Aso Rock. ​”​The question anyone should ask is why President Jonathan deliberately refused to make that report public. What was he hiding from Nigerians? Here is another question, if the findings had indicted Governor Shettima or the Borno State Government in anyway, does anyone really Jonathan would have concealed that report given his open hatred for Shettima and the fact that the Governor was in the opposition party?